Everyone needs a little time away from the grind – and that’s what we’ll be doing over the weeekend. We’ll be taking some time with my lovely wife and daughter to have some good times together and to create some memories. I also wanted to give you a heads up – it is getting close to the time when school supplies will be going on sale. This is a wonderful time to get tutoring supplies for much less than you normally would. 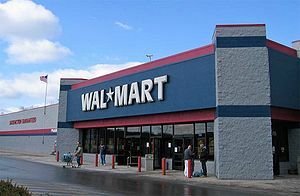 Some good places to check include the big box stores like Wal-Mart and Target, as well as the office supply stores (Office Depot, Staples). If you like to do your shopping online then you’ll want to check out the following links. Also don’t forget about coupons. I think one year we ended up getting much of our paper supplies for free… which is always a good thing. Hope you have a wonderful week and we should get back to our regular posting schedule next week. If you have a ipad / iphone – McGraw Hill has 10 or so of their apps they are giving away now thru the 16th of April. Details can be found here. One of the things we want to do is make you aware of deals that may help you in your tutoring business. One of our recommendations is to buy school supplies right after the big rush ends. I think last year we ended up getting notebooks for around 10 cents each. We found a couple of deals today that could help you – one thing they are good only for today. You also may want to bookmark both of these sites because they are always offering new deals and they change every day. Hope that helps you save a bit of money and we hope you have a wonderful day!